Sports | Welcome to the Underground. Today, we will have interesting match-ups as a couple NBA teams square off tonight. The Orlando Magic, who might be on going the same path as Cleveland, will verse the struggling Cavaliers tonight. Orlando has to keep their star (Dwight Howard) in their squad as long as they could possibly can because he will have the choice to be a free agent in 2012. The Cavaliers once had LeBron James. They tried and tried to build pieces around him so he could get a championship, but they failed and he left them. Now, the Magic, who recently had a blockbuster trade sending Hedo Turkoglu and Gilbert Arenas to the Magic roster, are building pieces around Dwight Howard. They lost in the Finals to the Lakers 2 years ago. Speaking of the Lakers, Kobe Bryant and his squad renew a much anticipated rivalry with the Boston Celtics, who lost to them in last year’s Finals. The two classic rivals are playing great, but age might be slowing them down. Paul Pierce, Ray Allen, Kevin Garnett, Pau Gasol, Kobe Bryant, Derek Fisher, and Ron Artest are the aging starters that are over 30 years old. The New Orleans Hornets will face off against the Phoenix Suns tonight also. Now, this may not seem as a very exciting game, but these two teams both have one of the most elite point guards today in Steve Nash (Suns) and Chris Paul (Hornets). Watch for a ton of highlights, and outstanding assists. The Hornets currently have a losing streak of 1, and the Suns have a winning streak of 1. Finally, the two league’s top scorers face off tonight. Miami Heat, with the trio of Dwyane Wade, LeBron, and Bosh, will battle out Russell Westbrook, Kevin Durant, and the ever so improving Serge Ibaka with the rest of the Thunder. Durant is leading the league with 28.8 points a game, and LeBron is pacing it with 26.1 ppg, just slightly above Amar’e Stoudamire (26.0 ppg), who’s team will battle the Pistons tonight in New York. The double header of Thunder vs. Miami (1:00PM ET) and Los Angeles vs. Boston (3:30PM ET) will feature tonight on ABC. Other games tonight include: Denver vs. Philadelphia, NYK vs. Pistons, and Utah vs. Golden State. Rumors have spread across the NBA nation that Carmelo Anthony, along with his expiring contract, will be moving to the Nets in New Jersey. Friend of his and Nuggets teammate, Chauncey Billups, will likely be included. The three-team trade will also send Richard Hamilton to New Jersey to reunite with his former Pistons champion teammate, Billups. The Nets would give rookie Derrick Favors and first-round draft picks to the Nuggets, while the Pistons recieve Troy Murphy‘s $12mil expiring contract and Johan Petro, both who Detroit has no long-term interest in. Carmelo Anthony actually wants to be part of the New York Knicks, only a few miles away from New Jersey. If he does not get traded to the Knicks before the deadline and rather lands a spot in NJ, he can opt out of a contract signing by the Nets and become an unrestricted free agent to join Amar’e Stoudamire and his reborn team. Watch as Pierce uses the Garnett screen to switch defenders and fake out Knicks’ big man Amar’e Stoudamire to make the fadeaway jumper. Also, notice at the end Nate Robinson, whose former team was the Knicks, falls over Paul Pierce after jumping on him twice, wanting to be carried. Pierce was like “IDGAF, I’m the star!”, and Ray Allen’s face. The cockiness of the Celts showed tonight when Paul and Garnett decided to show off by doing a courtesy and bowing in all directions. Soccer Manager.com — Free soccer/football management online game! 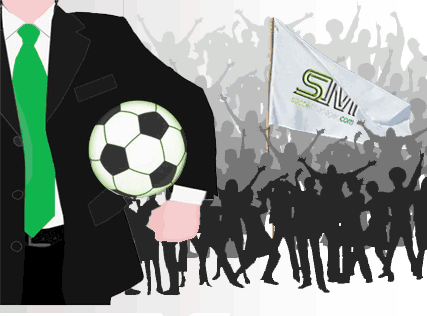 Description: Soccer Manager is a free website on which you can manage a soccer team through your web browser. What make it different from other similar sites is that there is a very realistic transfer market for you to participate in. Actually, it is quite fun to put players on Loan Lists, Transfer lists, or just buy and sell players if agreed. There are also “Free Agents” which are players not owned by any clubs for purchase. There is also a “Score Centre” in which you watch your own matches progress. You need to be signed up to play. Nowadays, there are a lot of games on the market about raising cats and dogs, so using this genre of game to get a large audience is very impractical. Starfish-SD is marketing a new game “Welcome to DolphinPark”. The screenshots clearly show that the aim of the game is to rear dolphins and train them to do stunning tricks and stunts. When your dolphin performs, it gets coins (money), and those can be used to buy food, equipment and newer, more advanced courses for your dolphin, so that it can perform better. Also, you can use the self-cam in the NDSi to take a picture of your face, and subsitute the dolphin’s face with yours. The official selling date is not yet defined, but the price will be around 5040 Japanese yen. Sound like a game you or your children will play? Leave a comment and let us know how it is!